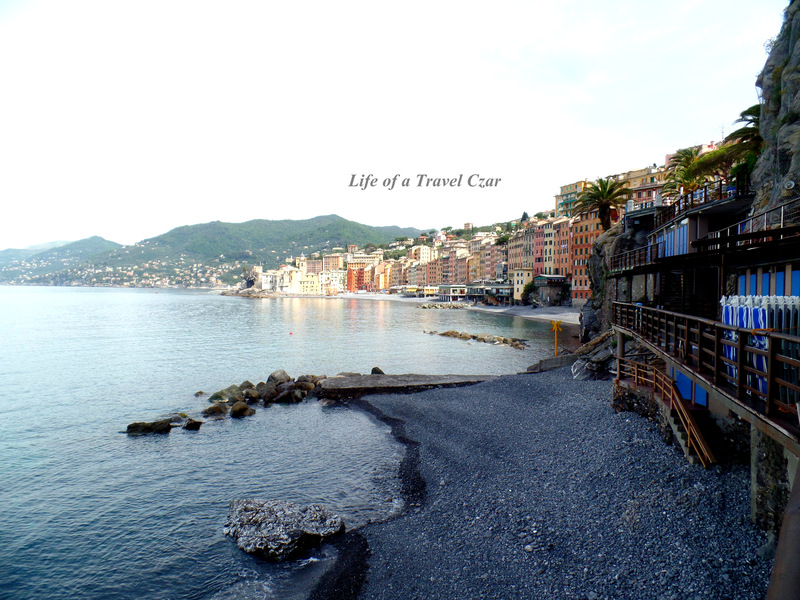 I have decided to wrap-up my series on the Italian Riviera with some snaps and reviews of the town of Camogli where I based myself. I stayed at the Hotel Cenobio dei Dogi and used that as a base to visit the rest of the Riviera. If you want to check-out my review of the hotel here is the link (its amazing with panoramic views of the Mediterranean and its own private beach). 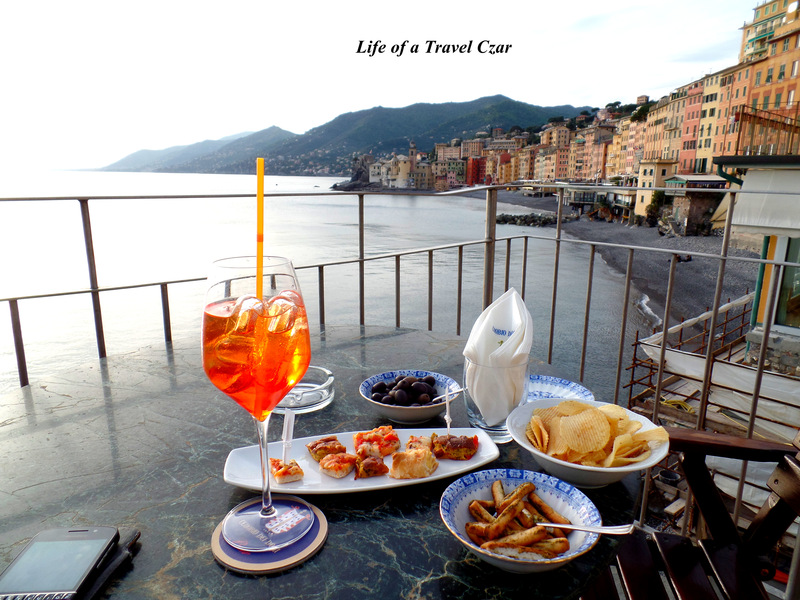 The rocky terrain of Camogli requires some sustenance, so I choose to have lunch at the IL Doge Restaurant which has panoramic views across the sea and the right hand side of the town. I start with a Spaghetti alla Vongle (Spaghetti with Clams). The dish has beautiful fresh Spaghetti with the strong pungent flavour of the clams, rich ripe tomatoes and a beautiful drizzle of olive oil and herbs for a light dish which reflects the backdrop and views. The view kinda just detracts from the dish…. For the mains, I opt for the grilled seafood platter (fresh seafood from the Mediterranean and onto your plate). The seafood is plated at the table by skilled waiters in white jackets. There is a fresh selection of fresh fish, scallops, scampi, prawns, squid and mussels are presented. The fresh natural flavours of the seafood are retained with limited need for culinary preparation. An amazing main course reflective of the strength of the local produce. I spend the rest of the days walking around the town, taking in the beauty of this fishing village which has been transformed into a little resort. The cliffs and deep blue seas are a spot to reflect on the beauty of creation and the natural wonders of this world. 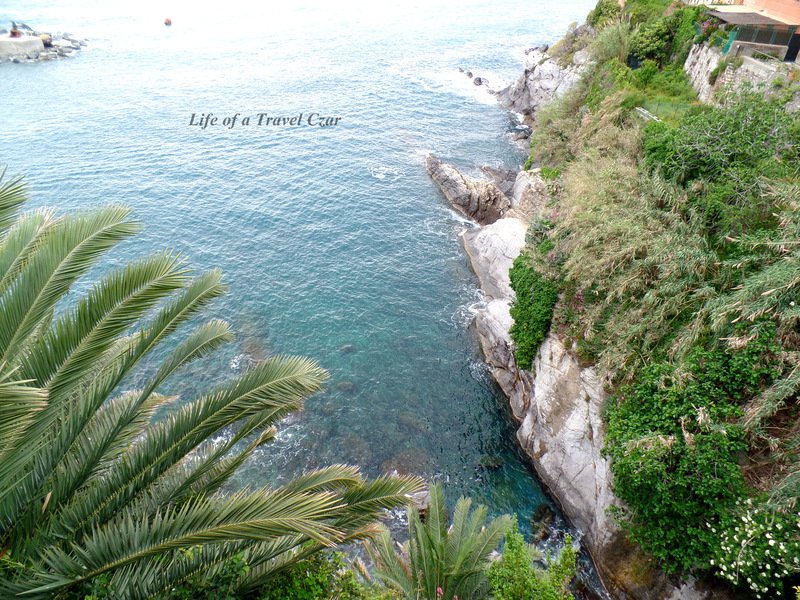 The view from the top of the cliff as you towards Recco (the next town away from the Cinque Terre) is amazing. 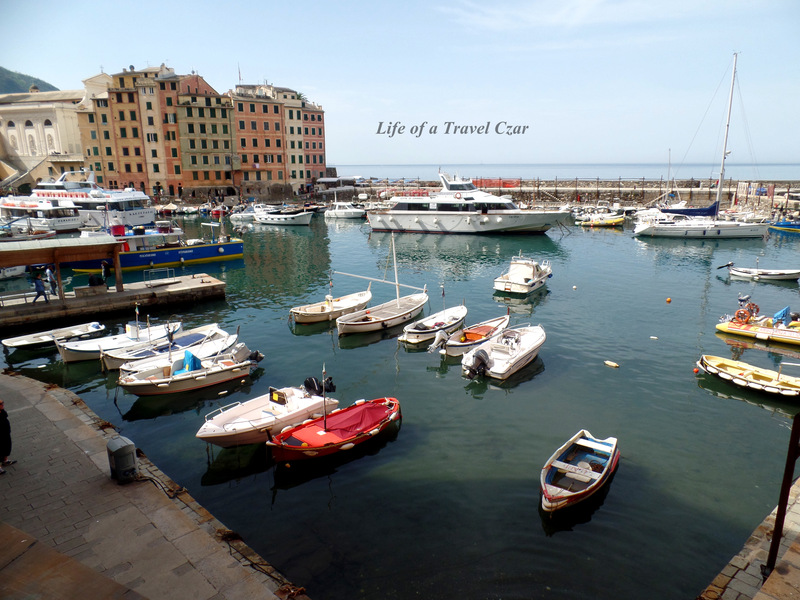 Its important to remember that like Portofino (You can read my review here), Camogli was an old fishing village before it caught on as a resort. Here are the fishing boats in the bay. The view from the hotel’s beach is quite something too, the town and all its multicoloured houses are just so beautiful. On Wednesdays there are amazing markets on the main street. 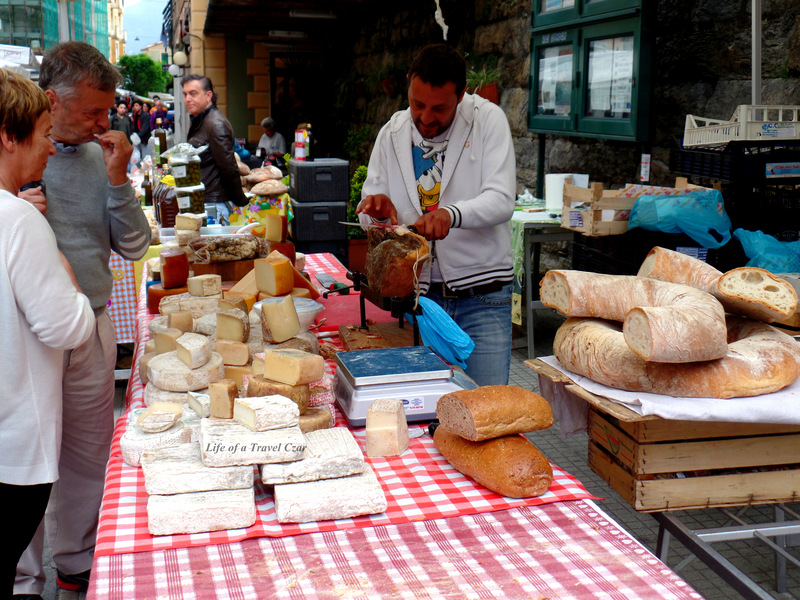 They have wonderful cheese, cured meats, olives and all those other fine things you tend to find on Riviera. In the evening as the lights dim, there is a wonderful panorama available the edge of the beach on the rocks, just make sure you don’t slip into the water if it’s a little wet. At night-time the town develops a little romantic sense of glamour as the lights of the hotels and houses replace the sun’s bright glow to fight the darkness of the night sky. 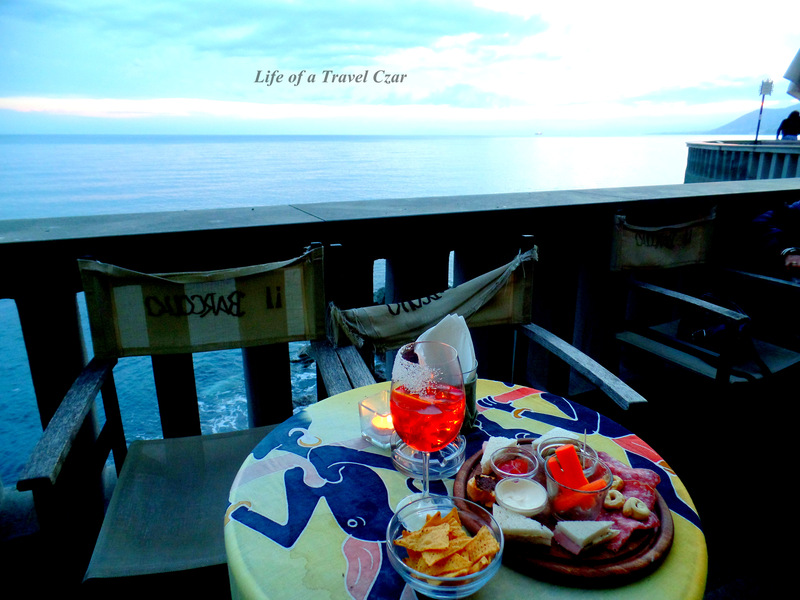 What I love about the Riviera is fresh produce and the lightness of South Italian fare. So I find myself in the afternoon, just finding a little quiet non-descript restaurant and having some wonderful local cuisine. Italian Wines and Fresh Focaccia (often drizzled with copious amounts of local olive oil or filled with cheese) and Grissini start the afternoon. 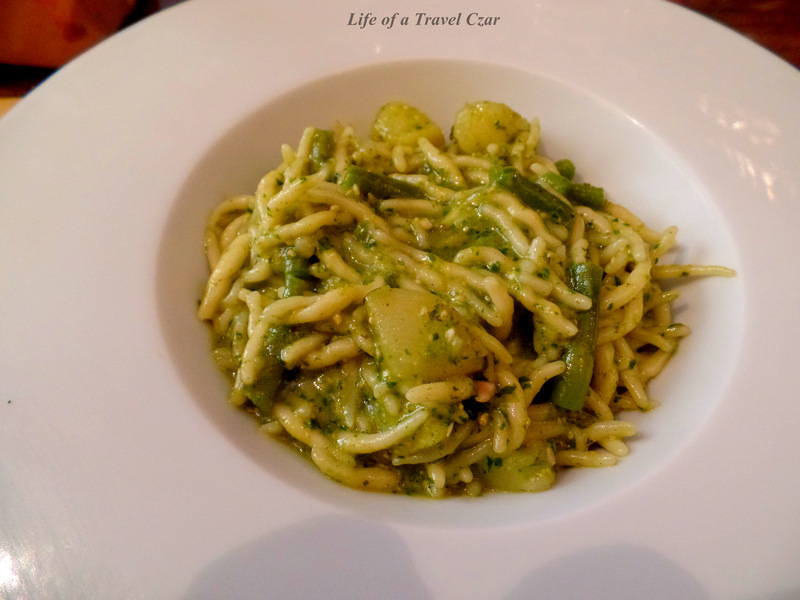 Genoa pesto (rich basil pesto with pine nuts) is a natural favourite in this part of the world and they do it oh so well. The thing that I actually look forward to the most in the day is apertivo (from about 5-7pm), where most bars, cafes or restaurants will serve an Aperol Spritz, Campari or wine paired with some lovely bites of cured meats, olives, chips, mini pizzas or sandwiches. I often find a spot overlooking the sea and watch the sun escape into the distant horizon as the beautiful night skies of the Riviera introduce themselves for the evening. 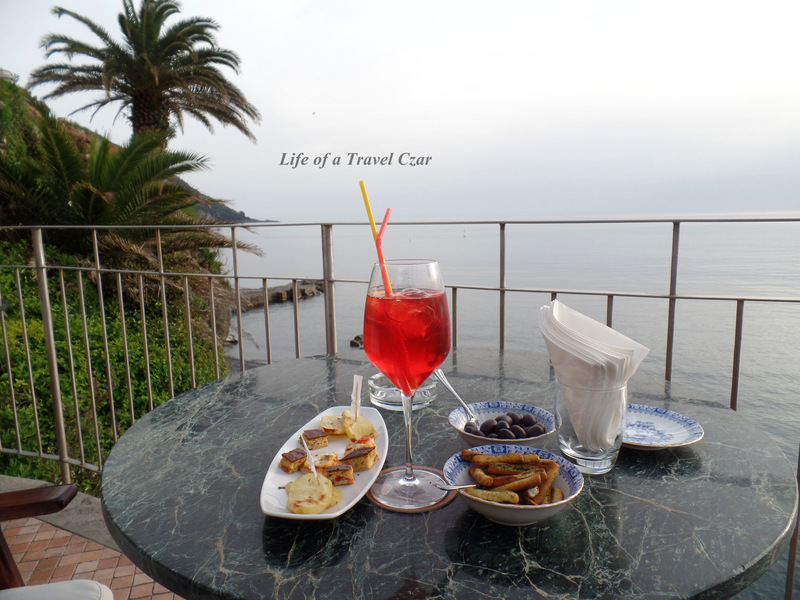 My hotel (Cenobio Dei Dogi) probably did the best Apertivo (this is a Campari overlooking the right hand side of the Camogli – the rocky leafy terrain). 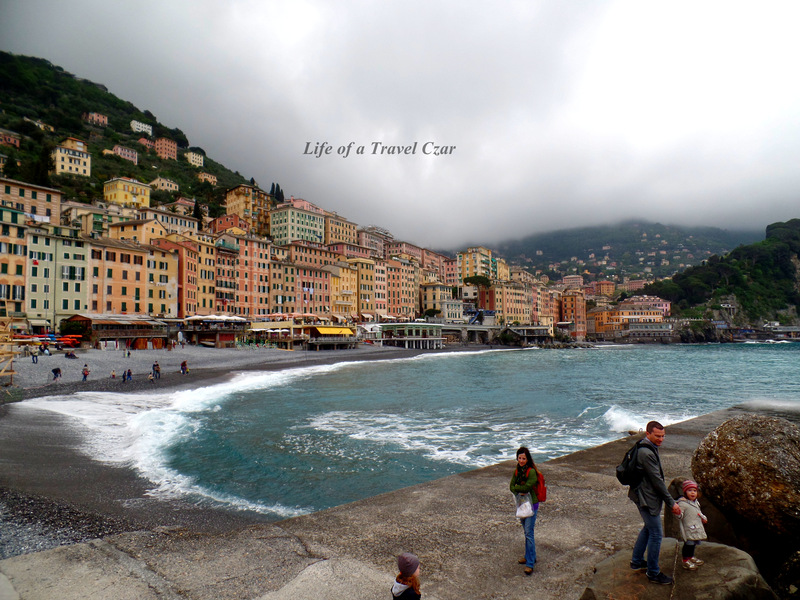 That’s probably the best way to wrap-up my time in Camogli and the Italian Riviera – next stop Milan!